What are consumer expectations for service providers (SPs) today? Cisco® Internet Business Solutions Group (IBSG) surveyed 14 SP executives to understand the new mobile landscape. 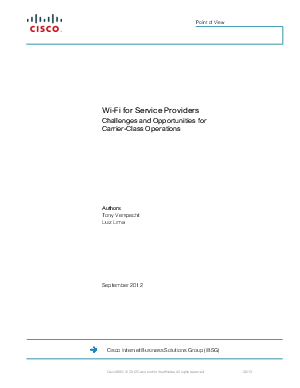 See how your Wi-Fi strategy aligns with the findings.